(L-R) Abigail “Abby” Reasor and Kaitlyn Sorenson and I share a moment after the presentation. When Kaitlyn Sorensen and Abigail “Abby” Reasor became friends at the age of 3, they couldn’t have imagined their friendship might eventually have national significance. Their Sunday School class at Fairfield Presbyterian Church in Mechanicsville, VA, became a touchstone for their early lives, along with their decision to join a Daisy troop, the beginning level of Girl Scouts. 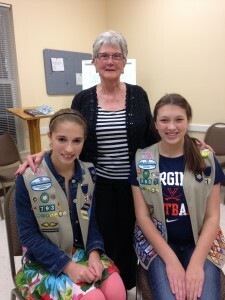 In 2013, during the 100th anniversary of the Girl Scouts of the Commonwealth of Virginia (GSCV), Kaitlyn and Abby, who were then 13, set out to try and make history by developing a program that will result in a Girl Scout patch in Holocaust education. 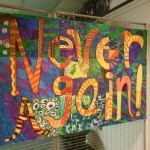 The idea was born after they and their mothers visited the Virginia Holocaust Museum and read Izzy’s Fire. Anne Sorensen, Kaitlyn’s mother, asked me to do a presentation on Izzy’s Fire in conjunction with Kaityln’s Troop 280 whose members were working on their “Once Upon a Story” badge. The members of Troop 793, the troop which Mrs. Reasor leads and Abby belongs to, also attended the presentation. After more than 50 years, I couldn’t believe I still remembered the Girl Scout Promise I recited as a Girl Scout affiliated with Providence Methodist Church in Chesterfield County. It was so impressive to see young women still involved in an organization that expects them to complete projects which take great effort and have lasting significance. Now an 9th grader who attends Atlee High School, Abby said she learned about the Holocaust in 7th grade at Chickahominy Middle School, which sponsors a field trip every year to the Virginia Holocaust Museum. I have spoken about my book at Chickahominy several times. Kaitlyn, a former student at Oak Knoll Middle School and now in the 9th grade at Hanover High School, will assist her best friend in developing the model for the patch, which Abby will use to earn her Silver Award, the highest level a cadet Girl Scout can earn. “Oak Knoll had a field trip every year where we spent half a day at the Virginia War Memorial and the other half at the Virginia Holocaust Museum. After the field trip, I went for a sleepover with Abby. When I got into her car and Izzy’s Fire was on the seat, I learned that Mrs. Reasor and I were both reading it. I was really interested in it because my mother’s grandparents came from Lithuania [where the book is set]. “We learned there was only one Girl Scout Holocaust patch, in Texas,” Abby adds. Requirements for earning the patch will be such that any Girl Scout, regardless of where she lives, could attain it by completing the requirements through the Internet. 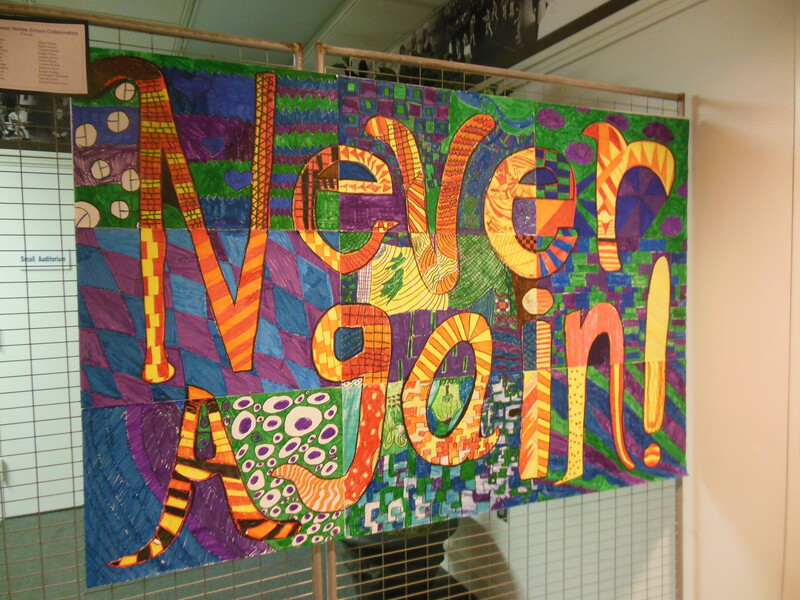 The girls will follow the model of “Discover, Connect, and Take Action” and concentrate on what girls can learn about the Holocaust, how it relates to their lives today (i.e. tolerance, bullying), and what they can do to further the message. 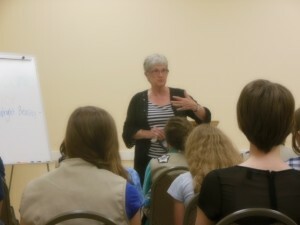 The Girl Scout Council must approve the plan for the patch, while partnering with the museum. One of the requirements for the Silver Award is that whatever project the Scout does must be sustainable and have longevity. Kaitlyn has already earned her Silver Award. Viola Baskerville, executive officer of the GSCV is not surprised at Kaitlyn and Abby’s determination. Kaitlyn and Abby plan to become literature teachers. Stay tuned. I believe I’ll write about them again. After all, they are the type of young ladies that Baskerville was referring to — ones that change the world. 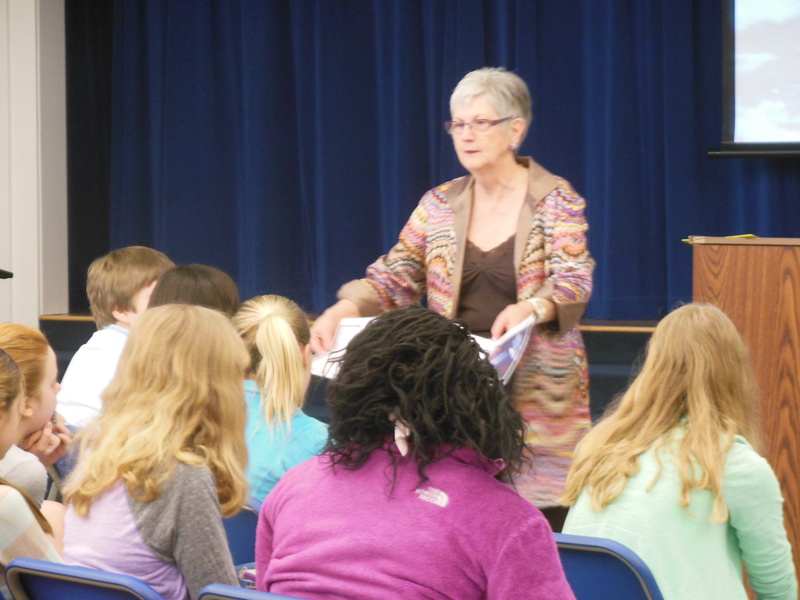 Students at St. Michael's Episcopal School showed keen interest about the editing process of "Izzy's Fire." Our discussion followed a PowerPoint presentation where I shared multiple photos I had taken while in Lithuania. Several events have taken place since I last posted on this site. I’ve been traveling a great deal, which makes it difficult to post consistently. However, I want to thank three different groups who have been kind enough to invite me to speak. The first one is St Michael’s Episcopal School, which is near Richmond. The students were so respectful and many asked insightful questions. The appreciation they showed, along with wonderful enthusiasm from their teachers and librarians, made me glad that I’m still interacting with school groups. It also gives me hope that these children (our future) will go forward with more knowledge of how to be more tolerant of those who are different. (LtoR) Inge Horowitz, President of Emek Sholom Holocaust Memorial Cemetery joined me and Simon Sibelman, as well as Jan Shaughnessy, program chair for the author’s event that took place recently in Richmond. The Catholic Woman’s Club (Richmond) asked me to be the speaker for their bi-annual author’s luncheon where they raise money for scholarships. My presentation had special meaning for the group, since it was a Catholic farm family who risked their lives to save the 13 Jews I write about in “Izzy’s Fire. I asked Simon Sibelman, the executive director of the Virginia Holocaust Museum, to share the time I was allowed. A noted scholar on the Holocaust and wonderful speaker, Simon offered special insight into the subject. 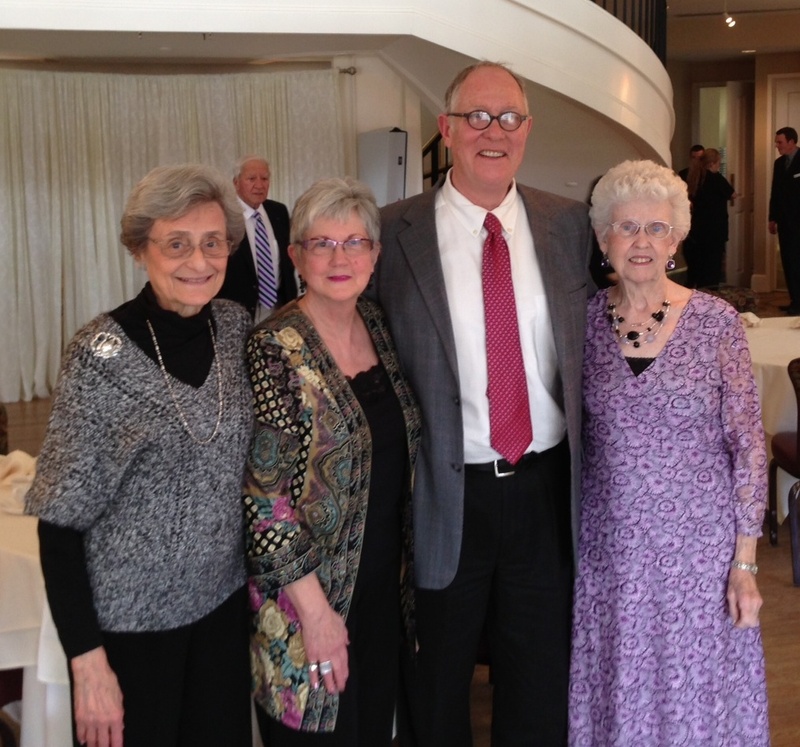 A third, and very special event, took place April 7. As a Christian, I was humbled to be the keynote speaker at the Yom HaShoah program for the Jewish Educational Alliance (JEA) in Savannah, Georgia. The service to commemorate Holocaust Remembrance Day is observed as Israel’s day of commemoration for the approximately six million Jews who perished in the Holocaust as a result of the actions carried out by Nazi Germany and its accessories, and for the Jewish resistance in that period. Drawing on my life as a farmer’s daughter, I chose to speak on my memories of farm life and how my father taught me to sow seeds and carefully tend the tender plants. 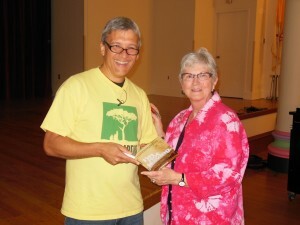 It is my hope that “Izzy’s Fire” can be used to sow the seeds of tolerance. My presentation followed a very moving candlelight service held to honor memories of loved ones lost during the Holocaust. Prior to the service, the names of victims had been read aloud for many hours. 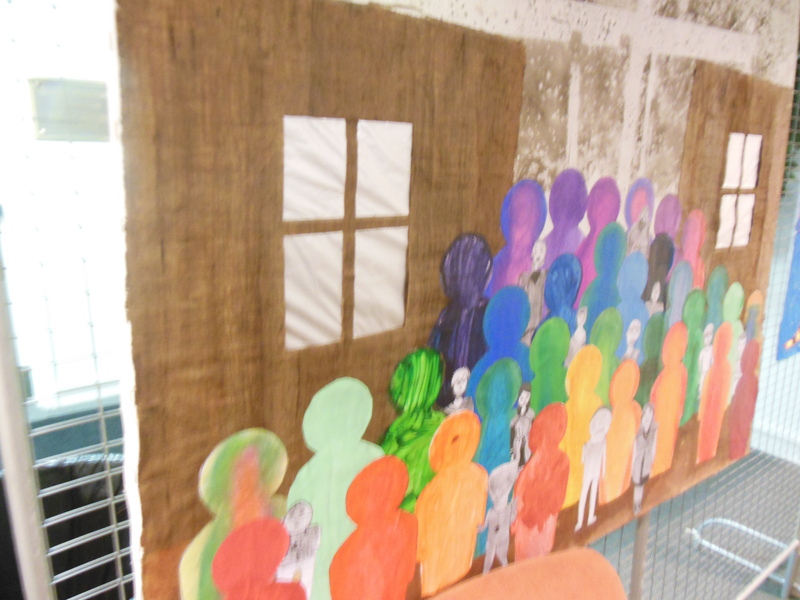 The hallways in the building were graced by numerous pieces of art supplied by children from Ramdam Day School and St. Vincent’s Academy, their powerful work giving special significance to the event. In the photo below, Jennifer Rich, director of programming for the JEA and the Savannah Jewish Federation, paused for a moment to appreciate the art with me and Rabbi Robert Haas, rabbi of Mickve Israel, the third oldest Jewish congregation in the United States. Rabbi Haas had just closed the Yom HaShoah service, attended by about 300 people, with the Mourner’s Kaddish Prayer. Several notable events took place in 2012 that I need to update. A book trailer for “Izzy’s Fire” was finalized and added to the banner of this website. Please have a look and be sure to share with your friends. The Summer Language Institute at the University of Pittsburg provided a scholarship so I could take a second course in Lithuanian, while a friend supported my living expenses while I stayed in Pittsburgh. I can scarely believe my good fortune. 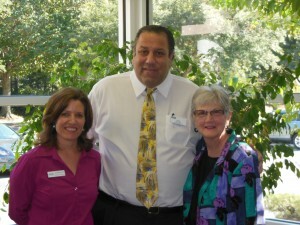 Dr. Simon Sibelman became the new director of the Virginia Holocaust Museum (VHM) here in Richmond on July 1 . He continues to impress as he moves the museum forward in a variety of new directions. I wrote about him in my monthly column (Reflections, July 2012 – Richmond magazine) You can read the column online by going to http://richmondmagazine.com/?articleID=9f4d. 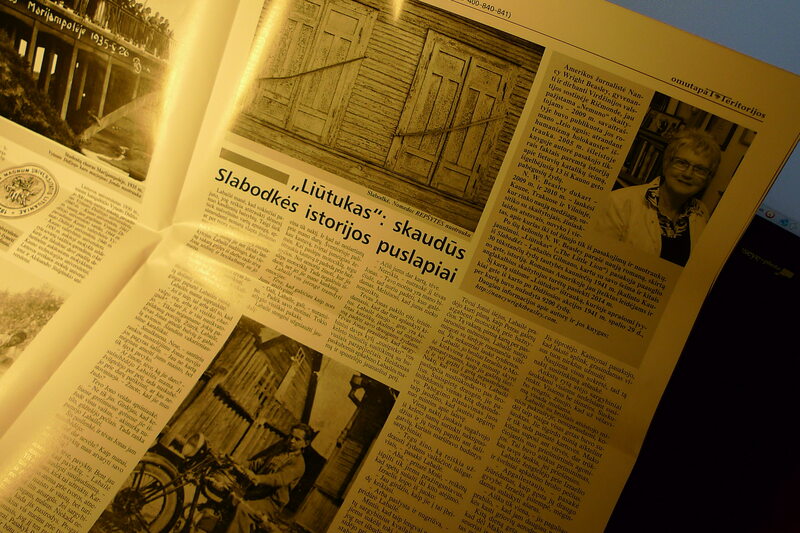 I was pleasantly surprised in September when “Nemunas,” the noted arts publication in Kaunas, Lithuania, requested photos and an excerpt from my young adult historical novel, which hasn’t been published yet. Titled “The Little Lion,” the book is set in Kovno Ghetto and details the bravery of Labaile Gillman, a Jewish teenager who saved several family members from certain death. My agent hopes to have a publisher soon. Translation and organizational work of the excerpt was orchestrated by Nomeda Repsyte, a dear Lithuanian friend (from Kaunas) who has supported me wholeheartedly since we first met several years ago. One of Nomeda’s photos also appeared in the article. It proves to me that Lithuanians are very much interested in their past history. That was proven to me in spades during November of last year when Skaiste Aniuliene, Consul General of Lithuania in Chicago, invited me to speak in Chicago and also in Michigan at several commemorative events marking 2011 as the Year of Holocaust Remembrance, so designated by the Lithuanian Parliament. At the same time, the Consul General also premiered a film by Rimas Markunas, a native Lithuanian, who orchestrated a documentary of a Lithuanian man saving several Jews, ultimately resulting in him being named as Righteous Among the Nations, an honor bestowed on non-Jews who risked their lives to save Jews during the Holocaust. Rimas and I became friends during my first visit to Lithuania, when he had just begun making the documentary. I was privileged to share the film with the Consul General and thrilled that she made it available for the first time to U.S. audiences prior to my presentations. Carl Wilkens, Co-Founder of World Outside My Shoes, signs his book, "I'm Not Leaving," during a break at the LaFrak Conference. Educational conferences continue to hold special appeal. 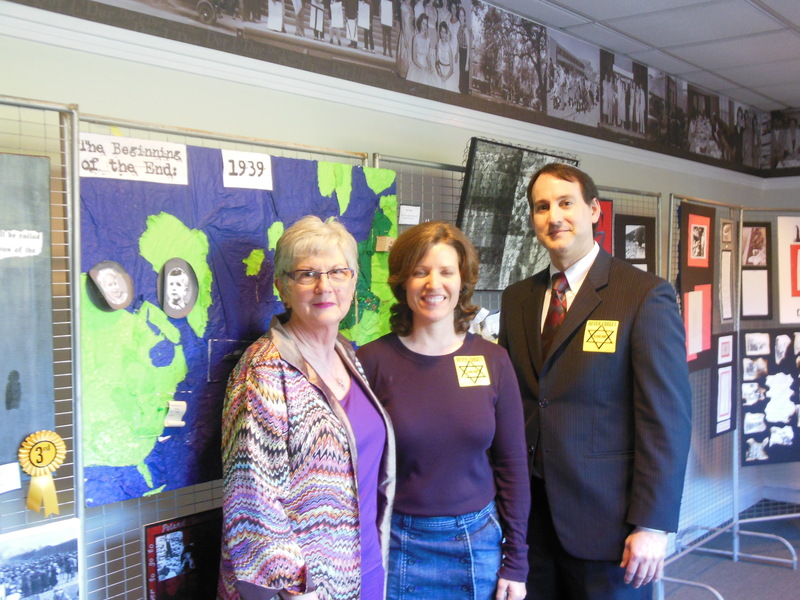 In October I attended the Ethel LaFrak Holocaust Education Conference in Greensburg, PA. The kind folks at Seton Hill University, who coordinate the conference every three years, offered “Izzy’s Fire” for sale through their bookstore as well. A special highlight was a attending an exhibit of paintings by Sam Bak, an internationally known artist and Holocaust survivor of Vilna Ghetto in Lithuania. I had the joy of meeting Sam while I was in Lithuania a few years back. Another highlight was meeting Carl Wilkens, the only American to stay in Rwanda during the genocide of 1994. His book, “I’m Not Leaving,” makes for riveting reading. 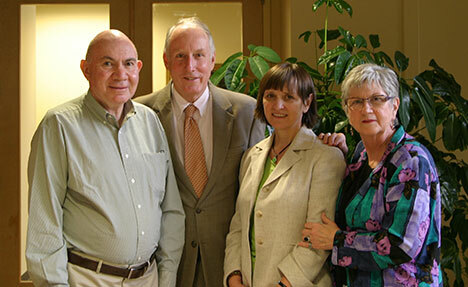 He will return to the Virginia Holocaust Museum this summer to offer a presentation from his ongoing work. Alan and Halina Zimm, Holocaust survivors, at the 2012 Kristallnacht ceremony held at Emek Sholom Holocaust Memorial Cemtery in Richmond,VA. I continue to speak publicly about “Izzy’s Fire” and am always inspired by students who tell me that they continue to learn from it. I’m delighted to report that the book is still being taught in many classrooms, especially the eighth grade. The Virginia Holocaust Museum also uses it as a text for the Holocaust education classes offered through the Alexander Lebenstein Teacher Institute at the musuem. The graduate-level course is taught each summer in conjunction with the University of Richmond and offers CEUs to teahers who attend. 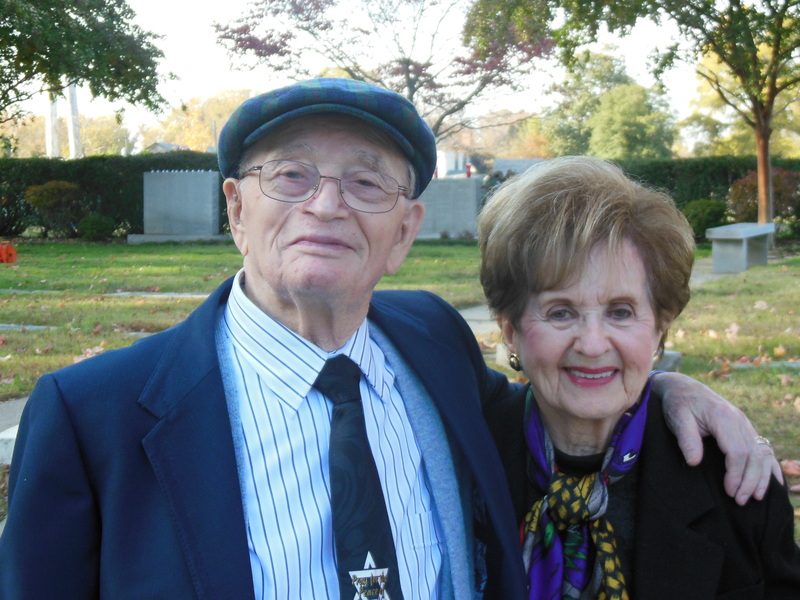 In early November 2012, my heart was touched anew as I attended the annual Kristallnacht ceremony at the Emek Sholom Holocaust Memorial Cemetery here in Richmond, VA, organized every year by Inge Horowitz, a dear friend and someone I consider as a gift from God. During that ceremony, in November 1997, I first heard Alan Zimm recite the names of his lost loved ones who had perished. I left the cemetery that day knowing that my life, as well as my work, had been changed forever by that gentleman’s soft voice. It has now been 15 years, and my work remains unfinished. It was wonderful to see Mr.Zimm and his wife, Halina (also a survivor), at the ceremony this year. It gave me a chance to remind him, again, of how his experiences continue to act as inspiration for me. 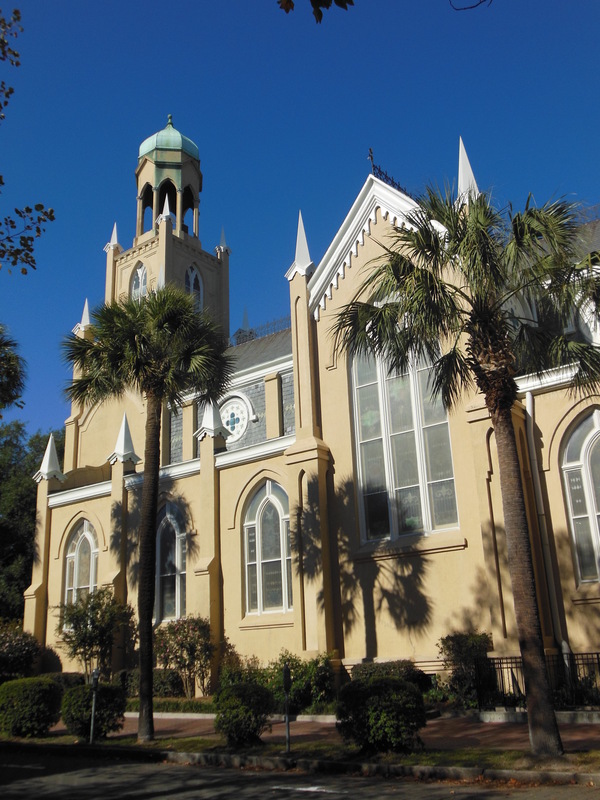 Another notable appearance happened in November 2012, when the Jewish Educational Alliance in Savannah, GA, asked me to speak during a luncheon. The event was memorable because of the individuals I met but was made even more memorable because I was also able to tour Mickve Israel, one of the oldest synagogues in America. Mikve Israel, one of the oldest synagoges in the United States, is located in Savannah. Jennifer Rich, Director of Community Programs and Adam Solender, Exectuvie Director of the Jewish Educational Alliance in Savannah, GA, agree to a photograph on a picture-perfect day in November. My dear nephew, Cris Kelley, has just done me the honor of resurrecting an interview done by C-Span shortly after “Izzy’s Fire” was first published. This is even more meaningful to me because my nephew lives in Germany. I don’t know how he ran across the interview, since it was done in 2006, but it was surely a nice surprise. Find the video on my Facebook page. Today is known as Yom HaShoah, a day when Holocaust martrys and heroes are honored throughout the world. It is also the 67th anniversary of the liberation of Auschwitz-Birkenau Concentration Camps, where millions lost their lives, primarily because of their faith. There are so many victims of the Holocaust that it boggles the mind. There are also many saviors, individuals who risked their very lives, and that of their families, in an effort to reach for the highest moral ground and protect those being subjugated. Those non-Jewish individuals who saved Jews (for no reward) hold the designation of being called “Righteous Among the Nations,” an honor bestowed only by Yad Vashem, The World Center for Holocaust Research and Education in Jerusalem. It is impossible to say how many individuals saved Jews, as many were executed, along with those they were saving, for their humanitarian efforts. I recently had the privilege of visiting with a friend, Virginija Vasiliauskiene, whose mother, grandparents and uncle saved eight Jews from Kovno Ghetto in Kaunas, Lithuania, during the Holocaust. Those four individuals were subsequently declared “Righteous Among the Nation.” Virginija and her husband, Barry Mann, live in El Paso. I have visited in their home and they were my house guests recently. They have played a very important part in my life. 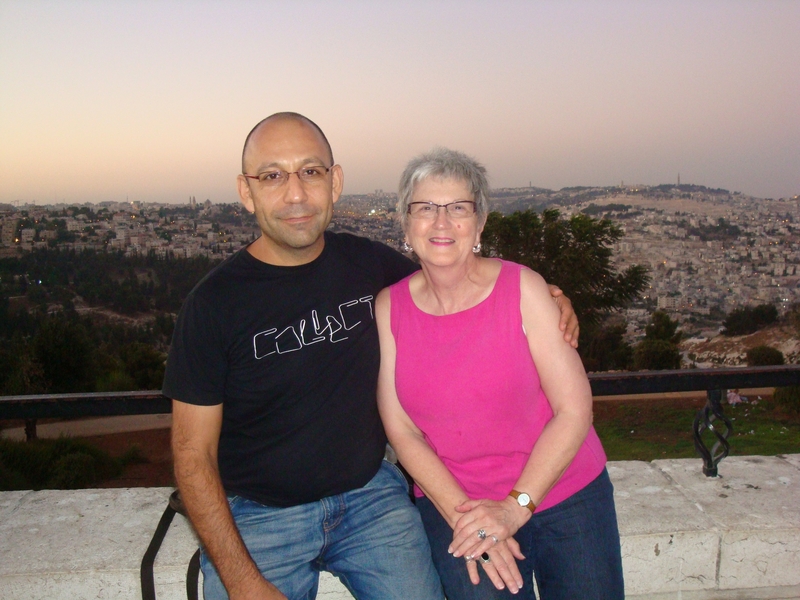 Barry, a South African Jew, met and married Virginija, a Catholic, several years after he learned of her family’s history. Barry’s mother was born in Kaunas but escaped the Holocaust by moving to South Africa. Virginija still maintains a residence in Kaunas and I have stayed there on both of my visits to Lithuania. The two of them have been extremely supportive of me over the years. I met them through Gadi Shlom, who lives in Israel, the son of my beloved late friend, Emmanuel (Mannie)Shlom. Mannie was one of the little boys I wrote about in “Izzy’s Fire,” and we developed a special relationship while I was writing the book. El Paso Holocaust Musuem and I had the privilege of speaking there some time back. Because of my respect for Barry and Virginija, I donated a case of books to the museum so they could use “Izzy’s Fire” in their trunk initiative, a program where a teacher borrows a trunk filled with Holocaust literature. When the class has studied the information, the trunk is returned to the museum for other teachers to use. It is my sincere hope that through studying historical books and documents, the students of today will be able to see the world in a more global sprectrum and become more understanding of their fellowman. It is, in my opinion, our only defense against a future Holocaust. (L-R) Alexsas Modestas and Sal Janusonis of Chicagoland-Lithuanians Rotary Club, joined me in Skokie, Il (Nov 2010), when I spoke on "Izzy's Fire" at the Illinois Holocaust Museum & Education Center. Fresh beginnings are important, but it’s also a time to give credit for the past. Skaiste Aniuliene, Consul General for the Republic of Lithuania in Chicago, invited me to speak several times in November 2010, in accordance with the Lithuanian Parliament’s declaration that 2011 would be a year of remembrance for Holocaust victims. I was honored to share the story of “Izzy’s Fire” and the courageous Catholic farm family from Lithuania who saved the 13 Jews I wrote about. I had the privilege of speaking at the Illinois Holocaust & Education Museum (Skokie, IL), the Balzekas Lithuanian Cultural Museum (Chicago, IL) and at the University of Chicago, in the class taught by Professor Giedrius Subačius. Later, I also spoke at the Holocaust Memorial Center at Farmington Hills, MI, the first Holocaust museum to be built in the U.S.
Each time I give a presentation, I learn that “Izzy’s Fire” continues to be meaningful and I’m encouraged to find many readers interested in the story. While the Holocaust as a whole is overwhelmingly tragic, we cannot lose sight of the few courageous individuals who risked their very lives to save Jews who were such hateful objects of discrimination. It is through programs like the ones sponsored by the Lithuanian Consulate that their story continues to be heard. 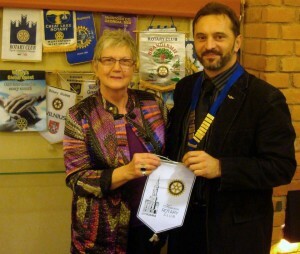 Arvydas Sabrinskas, president of Kaunas Rotary Club in Kaunas, Lithuania in 2009, presenting his club flag. Behind us hangs the Brandermill Rotary Club flag. The New Year will bring a new challenge, that of bringing to fruition the joint project of three Rotary clubs that’s been in the making for some time. 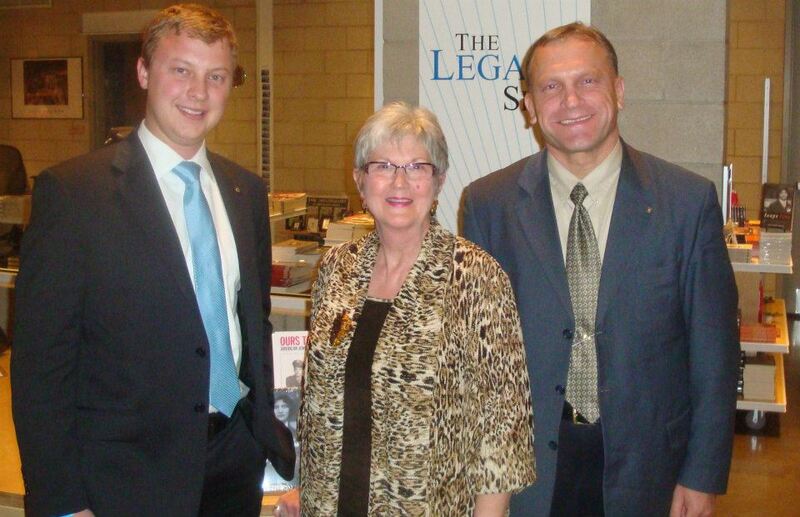 Following my visits to Lithuania in 2009 and 2010, where I spoke at the Kaunas Rotary Club, I was introduced to the Chicagoland Rotary Club of Lithuanians (by telephone). That club is made up of all Lithuanians who now reside in Chicago. I subsequently spoke at their club and asked them to join with my club, Brandermill Rotary (Midlothian, VA) on a project to benefit children in an orphanage in Kaunas. 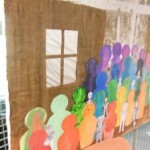 It is my joy to include a link to the story from www.rotary.org about the new formation of the Triple Sister Clubs Project. December is a time of rejoicing in all things. During the process of writing and publishing “Izzy’s Fire,” and then traveling to do presentations over the past 14 years, I have experienced miracles, not the least of which was how I was able to visit Lithuania (twice) and Israel and speak in both countries about the book, which I plan to write about later. Right now, though, I am especially reminded of miracles during this time each year when many people celebrate this most special season,which includes Christmas and Hanukkah. At Christmas,my Christian friends and I celebrate the birth of Jesus. During Hanukkah, my Jewish friends and I celebrate the Festival of Lights. Each holiday is considered precious and rightly so. I have been a Christian since I was 12 years old, and Judaism has become evermore special to me since 1997, when I embarked on the journey that still leads me to write about Judaic subjects, as well as the Holocaust. I wrote about the 13, as well as one other family member, Sara Gillman, who was about 3 years old when she was secreted out of the Kovno Ghetto by her courageous cousin, Labaile Gillman. He ultimately lost his life while trying to save other family members, but Sara lived to grow up, marry, become a doctor and move to Canada where, at 70, she still works and enjoys her five grandchildren. While I spoke wih her during the process of writing “Izzy’s Fire,” gathering her parents’ information to include in the book, and even in May 2011, to tell her I had written another book, about Labaile and the Gillman family, I never dreamed I’d ever meet her. Imagine my unbridled joy when I did see her for the very first time, at Mrs. Ipson’s party. She and her sister, Luiba, along with their uncle, Israel Gillman (one of the survivors who is now 90) and his daughter, Etty, had traveled to celebrate Mrs. Ipson’s momentous occasion. They all reside in Canada. Now, during the holiday of miracles, I’m reminded again of Ona and Vaclovas Paskauskas and her son, Stanislovis Krivicius, who risked their very lives to save those 13 Jews, Sara’s parents among them. What a sacrifice that must have been for them. Without the courage of that family, the miracle of Mrs. Ipson’s birthday would not have occurred, and what a loss for the world that would have been. It has been my privilege to write about her life, and it is because of her, along with my beloved late mother (of blessed memory), Beulah Mae Wright, that “Izzy’s Fire” was brought to light. Today marks the anniversary of another day in December that will always be very special to me. 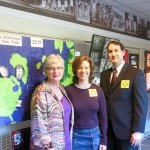 On December 13, 2010, Rebecca Quesenberry, then a teacher at Elizabeth B. Davis Middle School in Chester, Va, called to say that she had organized an additional 19 teachers and that, together, they were going to teach “Izzy’s Fire” to all 450 seventh-grade pupils in the school. I’m still in awe that Becky, who has since retired, decided to undertake that task and will be eternally grateful. To have that kind of response to a self-published book was, to me, simply a miracle. On November 9, 1997, my life was irrevocably changed. Months earlier I had been asked by Gwen Woolf, an editor at the Free Lance-Star in Fredericksburg, Va, to write a story about the Virginia Holocaust Museum, which had been established in Richmond, Va. I refused because I found the Holocaust such an awful subject. Gwen kept after me to do the story, and following months of promopting from her about the assignment, I decided to attend the Kristallnacht ceremony that is held every year at the Emek Sholom Holocaust Memorial Cemetery in Richmond. I was determined to go to the service and still refuse to fulfill Gwen’s request. After all, at that time, I didn’t know one Jew in Richmond, so I beileved I could just blend into the crowd and then quietly leave. I was fine until the survivors walked to the microphone to recite the names of their lost loved ones. The final man, Alan Zimm, quietly began to say the numerous names of his family members who had been killed. For some odd reason, I started counting the names on my fingers. I ran out of fingers before he finished reciting the names of his loved ones. I began to cry and realized at that moment that I had to write about these courageous people. The Holocaust had been reduced to one family and I could identify with Mr. Zimm’s agony. I could not imagine having my family slaughtered because I am a Christian. I told Mr. Zimm that day that he had changed my life. He continues to be a constant encouragement to me. I, nor my life, have ever been the same since our meeting. I subsequently visited the Virginia Holocaust Museum, wrote the story for Gwen and found a calling that I have not been able to shed until this day. Many of my columns and numerous stories about Holocaust survivors have appeared in Richmond magazine. “Izzy’s Fire: Finding Humanity in the Holocaust” is the direct result of having met my wonderful friend, Edna Ipson, who suffered so much during World War II. We ultimately worked together for seven years, and I used her voice, as well as her husband’s memoirs (coupled with other Jews who were with them) to tell the story of “Izzy’s Fire.” She has been, and remains, one of the greatest influences on my life. Recently I was at the annual Kristallnacht ceremony where my dear friend, Inge Horowitz, led the service as she has done every year since I first attended. I hugged her after the service and told her that I had no idea that I would still be attending the service some 14 years after I first met her. She, and so many of my Jewish friends, have been such blessings to my life. I am so richer for having known them. When I think of the agony of writing “Izzy’s Fire,” I always have to remember the friends, extended family and love I’ve gained in my life. It makes it all worthwhile.